The thinkMOTION project is specialised on gathering specific content in the field of motion systems. Different kinds of material are considered (e.g. 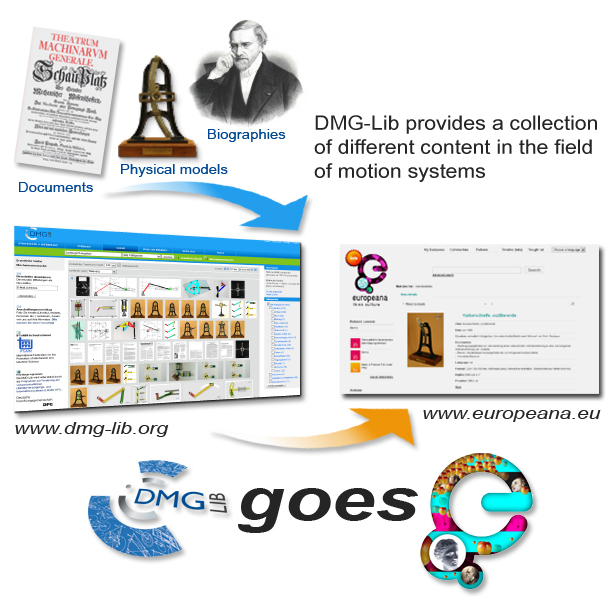 books, journals, drawings, images, physical models) to establish a digital library which connects historical and recent content from different countries. Content providers are spread over Europe and part of consortium.